Who should pay the bill for disasters like storm Irma? - Unearthed Who should pay the bill for disasters like storm Irma? Who should pay the bill for disasters like storm Irma? The cost of rebuilding after extreme weather events across the world is likely to skyrocket in 2017. Right now, there is severe flooding in South Asia and fires in western Canada and United States. Hurricanes Harvey and Irma have devastated the Caribbean and parts of the southeastern United States. Insurers are already estimating that insured damage caused by storm Irma is likely to cost the industry between $20 and $40billion, with major streets in cities across Florida still underwater. Scientists are in broad agreement clear that the storm was intensified by our changing climate. But who should pay for all the damage it caused? Big fossil fuel companies contribute a disproportionate amount to climate change, so shouldn’t they make a significant contribution? 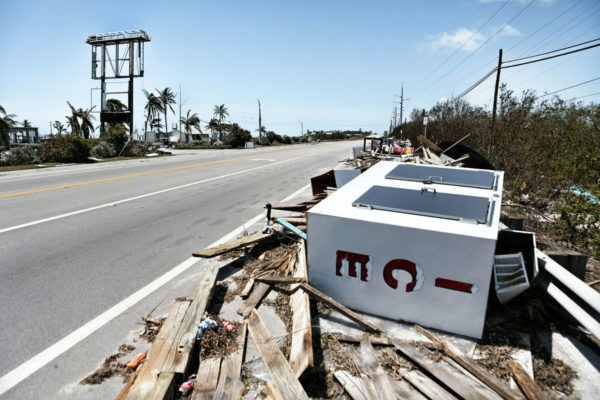 Destruction at the Post Card Inn and Marina after Irma made landfall in the Florida Keys. Photo: Marc Serota / Greenpeace. 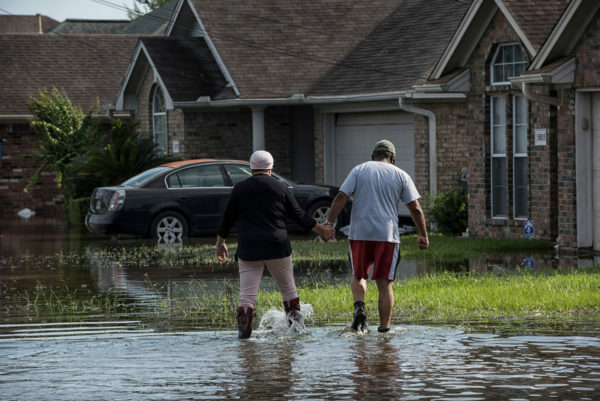 A new peer-reviewed study conducted by researchers from the Union of Concerned Scientists (UCS), the University of Oxford, and the Climate Accountability Institute, could be used to suggest just that. The scientists reveal just how much the emissions from individual companies involved in the extraction and sale of fossil fuel products have contributed to the global rise in temperature and sea level. If that extra carbon hadn’t been added to our atmosphere, we might not be facing the climate-driven disasters we are today. The study looks at both historical emissions (1880-2010) and recent emissions (1980-2010) linked to the 90 carbon producers. According to the study, the period from 1980 onwards is key because at this point in time investor-owned fossil fuel companies “should have reasonably been expected to respond to evidence of the climate risks of their products”. Carbon producers have so far avoided taking responsibility for greenhouse gas emissions from their products. The new study suggests how apportioning responsibility could work. It reads: “The proportional increase in atmospheric carbon dioxide, GMST, and GSL—key indicators of human impact on the global environment—from emissions traced to major carbon producers is quantifiable and substantial”. One such measure is that the combustion of fossil fuel products from the top 20 investor and state-owned companies from 1980 to 2010 contributed approximately 16.6% of the historic global mean surface temperature rise over this period. 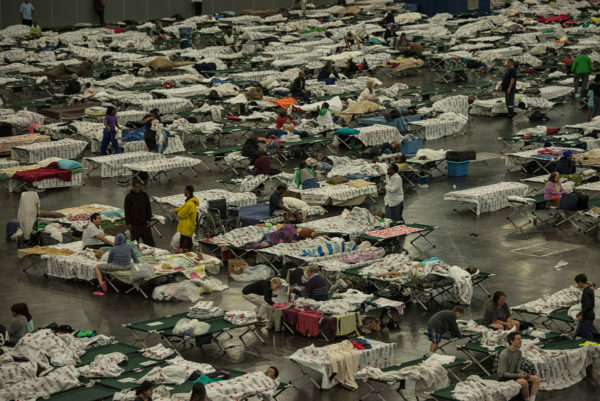 People settle into an emergency shelter at the Convention Center in Houston, Texas during Hurricane Harvey. Photo: Mannie Garcia / Greenpeace. There are already a number of legal actions involving fossil fuel companies where this new study could be used as evidence. Filipino disaster survivors and other individuals, along with 11 NGOs including Greenpeace Southeast Asia-Philippines, triggered a first-ever national investigation into the responsibility of fossil fuel companies for human rights impacts resulting from climate change. Two California counties and a city have filed lawsuits against fossil fuel companies demanding compensation for the current and future costs of adapting to climate-induced sea level rise. A Peruvian farmer has sued a fossil producer and utility – RWE – in Germany. He is asking for RWE to pay its share – based on the company’s contribution of greenhouse gases – of the costs to prevent further harm to his property from glacial flooding. On December 2016, a district court dismissed the case. The decision has been appealed. There may be more legal actions on the horizon. In Canada, the District of Highlands and the District of Saanich sent letters demanding 20 of the world’s largest fossil fuel companies pay their share of infrastructure costs caused by climate change impacts. These letters could inspire other municipalities in Canada and elsewhere to make similar demands. The communities being hit the hardest by climate change are now demanding accountability from both corporations and governments. Impacted people and communities are refusing to be sacrificed to a warming climate. The UCS-led study paves the way for holding companies liable for climate impacts, but governments share some of the responsibility and should not be considered off the hook. With climate-related impacts already taking a massive toll and the continued lack of ambitious corporate and government action to protect communities from climate change, people will increasingly resort to the courts. Kristin Casper is the litigation counsel for the global climate justice and liability project at Greenpeace Canada.